Hi all, happy day!! jen t. here. 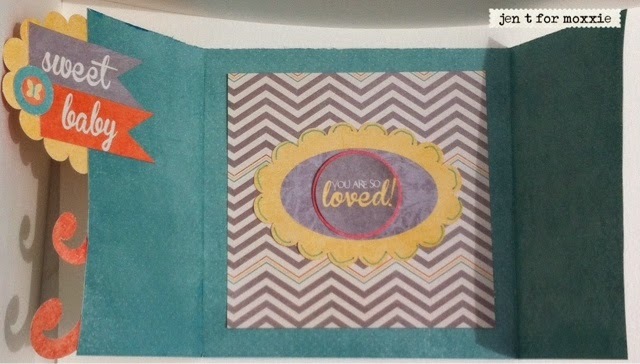 I am stopping by today to share a fun mini album i made. 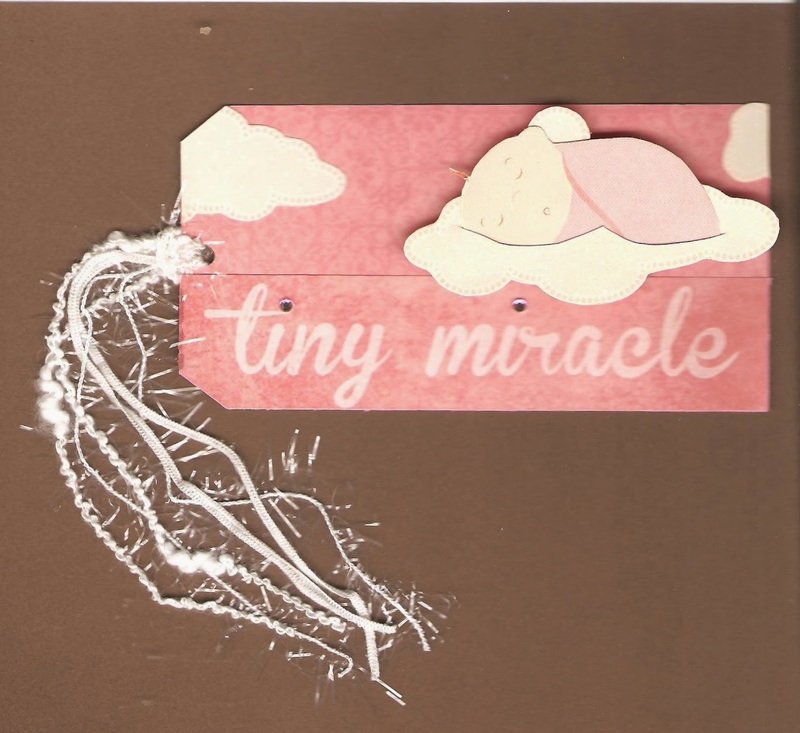 I call it a flip paper bag mini album because it is made from paper bags and then when you get to the middle you flip it to see the other half, one side baby boy and the other baby girl. (you know, kind of like those story books that are 2 in 1 ) So i used that idea to make this mini for my friend who is having twins- a boy and girl so she could either put her sonograms pics or new pics on the album and in the pockets. 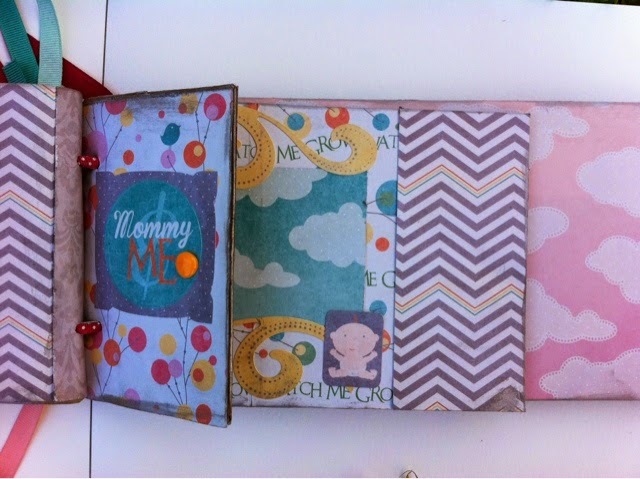 For the paper I used, the Wee Ones collection is perfect for this project. To start for this album, i kept the paperbags the full size. 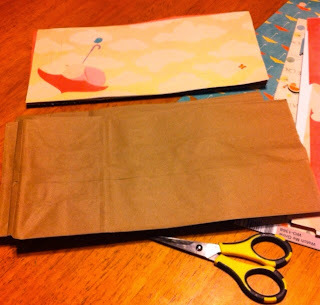 I then cut and trimmed the patterned paper to size only folding one paper bag 3/4 of the way (to make my middle) so that all pages front of that folded one are girl and all pages after the folded one are boy. 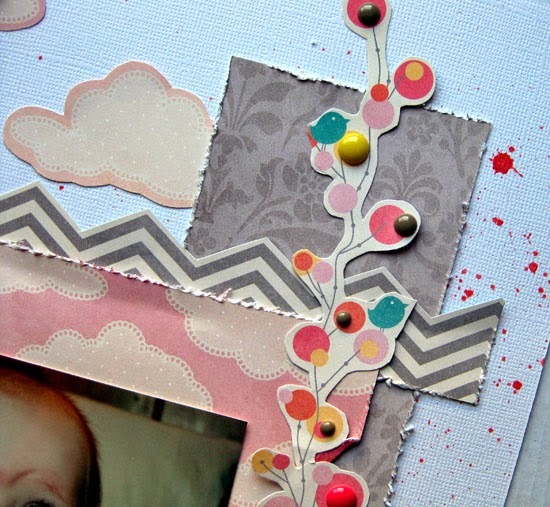 I then took diecuts, stickers and scraps of my patterned paper left to make a couple tags and make framed pages as for photos to be accented by them later. I then, hole punched two holes thru all the bags and threaded ribbon thru it to bind it together. I then, embellished with my enamel dots and a couple plastic rocking horses to add simple interest to the mini. Thanks for stopping by and happy creating!! Jen t.
Hi all, Jen t. here. 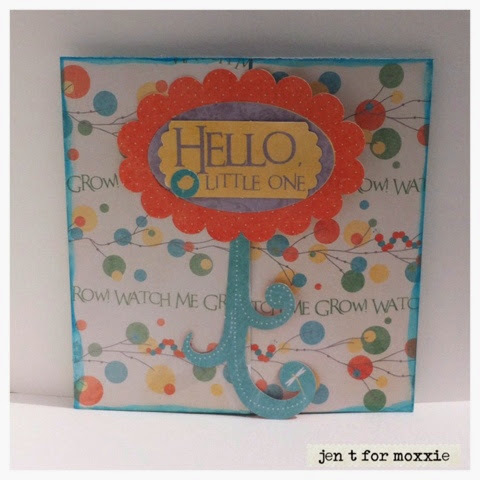 I am stopping by today to share a card i made using the moxxie wee ones line. So lately i am kind of on a gate fold making kick once i realized how easy they are to make i can't stop . lol! 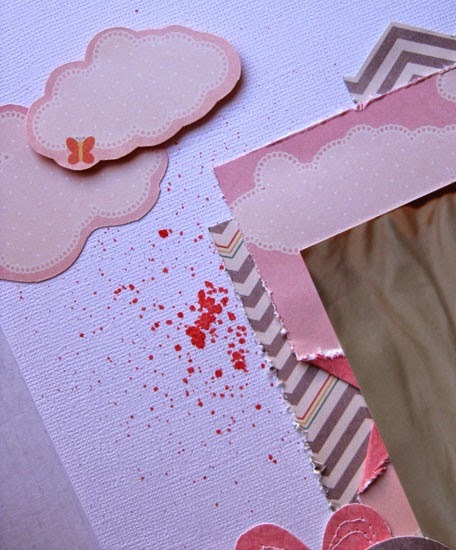 First, start with a 12x12 sheet of paper and cut it down the middle to make two 6 x12 pieces. Now you have two cards. Take the one piece and score it at three and nine inches and fold in . 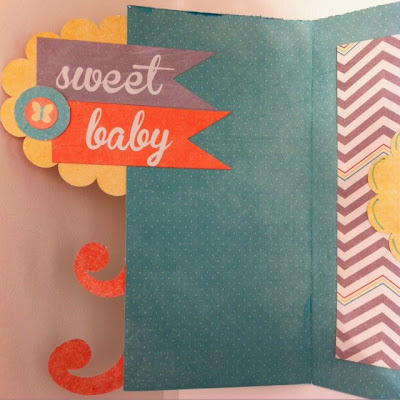 For my card i used the die cut flourish as a flower bottom and attached it to the edge of the card and then scalloped die cut as a flower top. 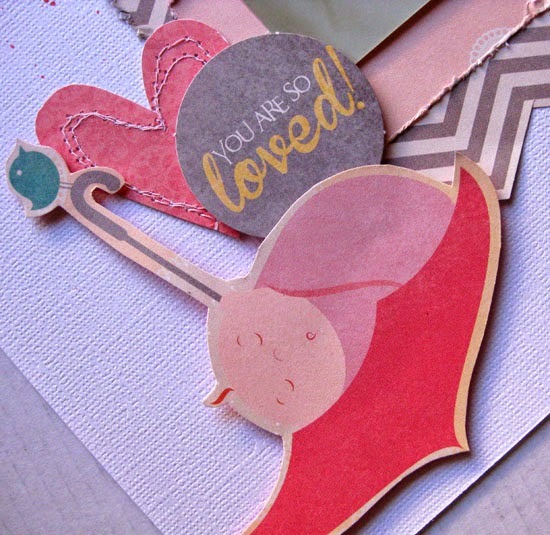 I then, added a die cut that i trimmed with my scallop punch on to the middle and added a lil bird sticker. Next, I grabbed a turquoise water based marker and rubbed it around the edges to make the colors pop. For the inside of the card I added a piece of the grey chevron patterned paper and layered more fun die cuts and stickers. You can find the blog hop here. have Wee Ones around your house as I do. Baby boys and baby girls. I am super excited about the Moxxie "Wee One" collection. Since I happen to have a little one also, I have too many photos that need to be scrapped. In fact, I never get sick of scrapping photos of her. I actually refound this photo of her, she's almost two and a half, so I left it out to be scrapped. I used mainly the girl papers from this line for my layout. 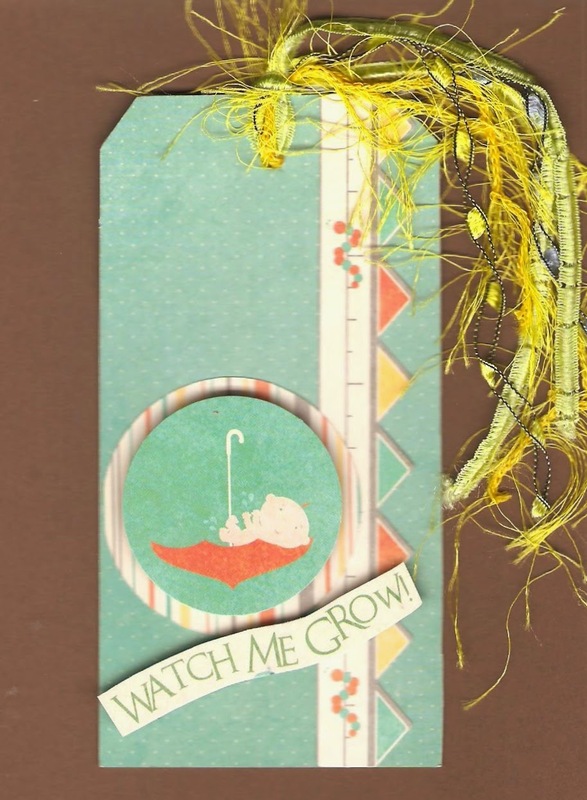 Isn't it so fun scrapping those little ones? Do you have any new babies arriving soon? 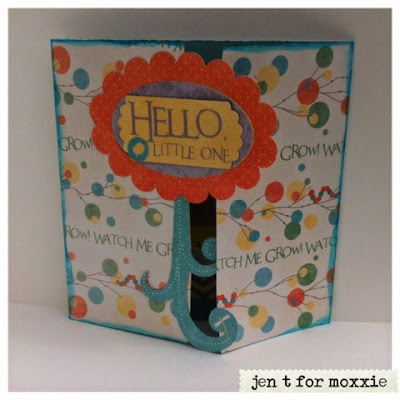 Wee Ones is the cutest baby line! 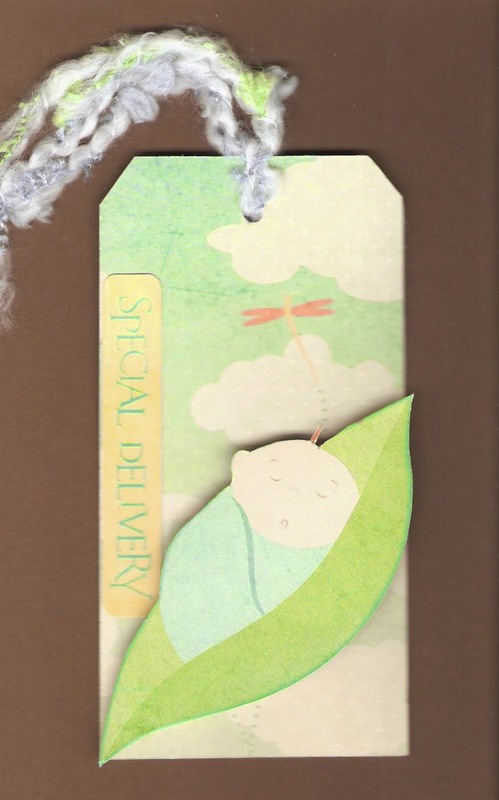 I used it to make this adorable card for my new baby nephew, who is also super adorable!! 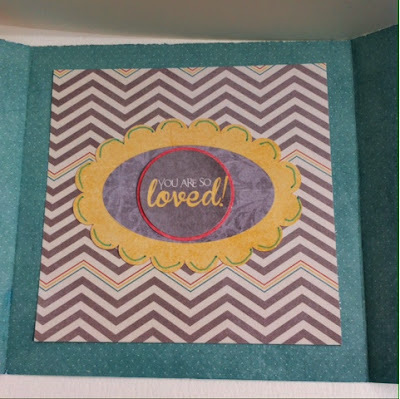 I started with 6x12 base of Splish Splash and folded it in half, then I used a new punch I got on the bottom corners and did a bit of inking. 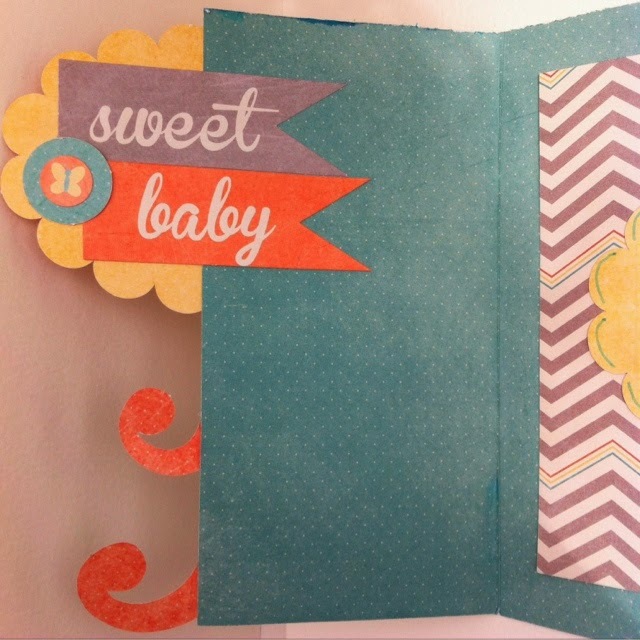 Using the backside of this die-cut that I popped up with foam adhesive, I added these cute cardstock stickers for my sentiment. Then I finished off with a couple of triangles on the edge and outlined them with a black pen. 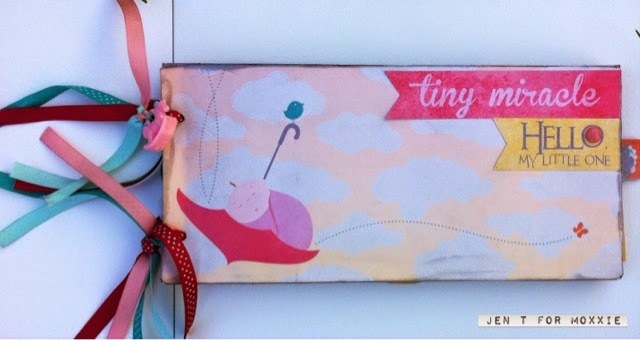 You can find this adorable line at Scrapbook.com or ACOT stores online or ask for it at your local scrapbook store. Hello and welcome! 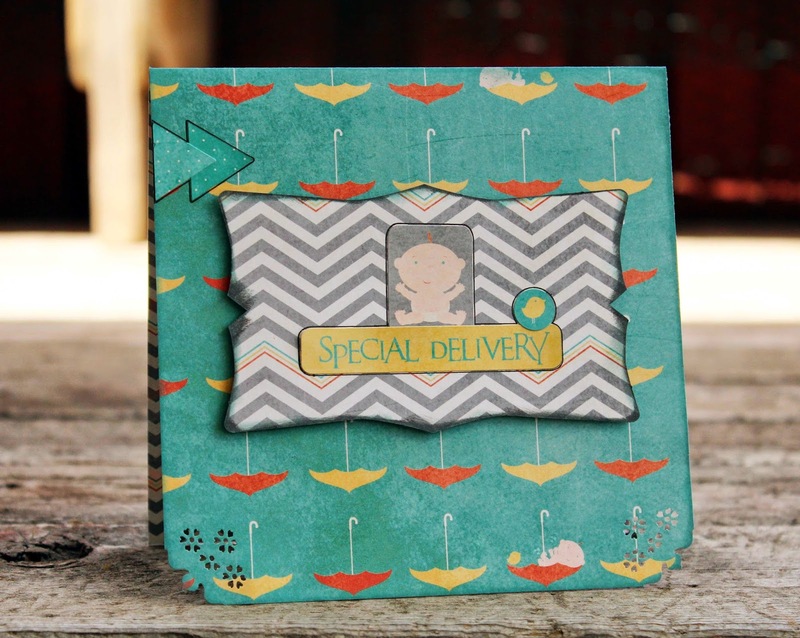 Susie hosting the blog again today and I am happy to share a layout featuring the Wee Ones collection! I created a title area with a doily and a Mini-Diecut paper from the Jewel pack. The Wee Ones Diecuts has this wonderful poem about skipping housework and hugging babies - I love it! I added some self-adhesive pearls in pink and peach to create a little dimension and to accentuate the circular pattern of the "leaves" - so cute! 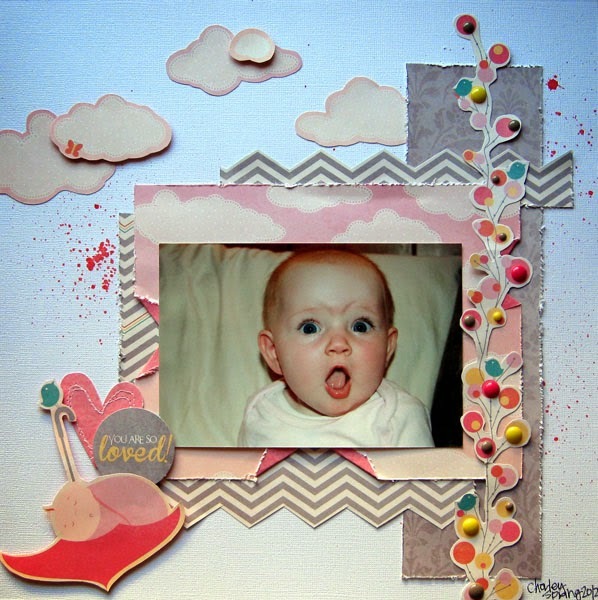 The chipboard and bling that I used on this layout are from Want2Scrap.